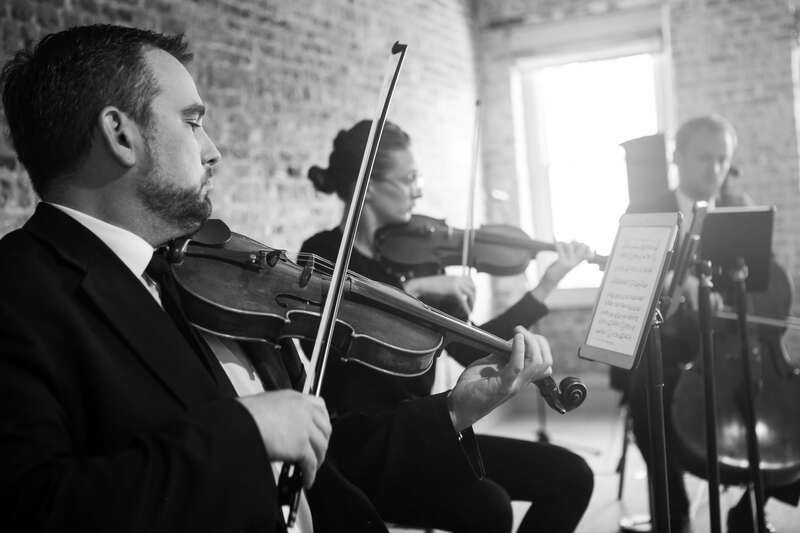 String trio and string quartet are two most popular ensembles for wedding ceremony or cocktail reception. Washington Virtuosi musicians are versatile and our repertoire doesn't include just classical music but also pop covers. In addition to the string trio we can perform with a trumpet player, pianist, flute player, guitarist or a harp player! For us is very easy to learn or to arrange a new song. We take music request, so do not hesitate to contact us with your special music requests. In case you are looking for string performance for more than two hours, you should definitely hire a string quartet! String Trio by itself sounds already great, but having a trumpet in the ensemble brings something special to the performance! We recommend hiring a trumpet player if you are planning having a classical music selection or if you are having your wedding ceremony at a church. 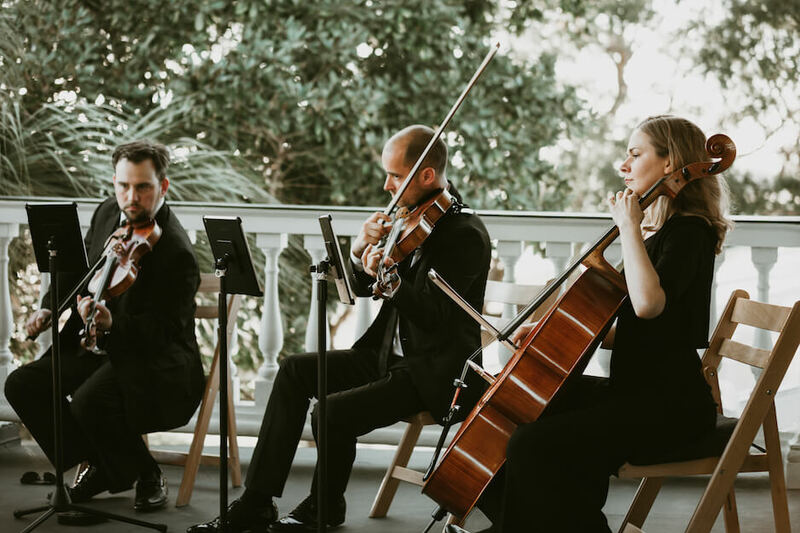 This is another video of Charleston Virtuosi String Trio performing Canon in D. We know that some of you don't like this piece but this piece is actually the perfect example how to find out sound difference between string duo and string trio! Our string trio repertoire includes pop covers, upbeat classical music, Broadway and Bollywood music. As we've mentioned, we take music requests and can learn any song for your wedding ceremony or the cocktail hour! This is a string quartet video as an example of music we can perform also with string trio.